2 How to get rid of a double image when you click on the avatar? Sometimes in a social network “Vkontakte” users encountered the dual avatar of their friends. It looks unusual, as the owner of a photo on the front page is not like that, whose photo stands in the comments. wishing to understand how to make a picture to a contact double more. For them, this article will be relevant! When you create a photo-blende, it is important to remember about the basic principles of working in Photoshop. Understand, that the double picture on your avatar is a joint photo, correctly edited in Photoshop. Photo from a folder on the computer, select the two images. One will show off on the main page, and the other to be displayed during comments. Expose the right size for this image. The picture on the home page – no more 200 x 500 pixels. Picture for posts and comments 200 x 200 pixels. Dimensions can be adjusted in Photoshop, and the standard wizard photos on a computer. Further work will go into Photoshop. Defining the size of the backsheet 200 x 700 pixels. Put it prepared image. Top – main, below – photos for review. Stores the image in jpeg format. Open a social networking page and upload an avatar in the first photo. The second step is poured into the resulting picture avatar. Editor of “Vkontakte” will advise you to set the range of the image. For the main avatar select the upper part of the picture, for avatar reviews – lower. Happened. The home page looks with the avatar of the top photo, Comments are displayed in the lower part. How to get rid of a double image when you click on the avatar? The user may reasonable notice, that when you click on the avatar page, photos will be revealed in full, and the lower part of it will be visible. How to make a picture to a contact on the front page without a backup? 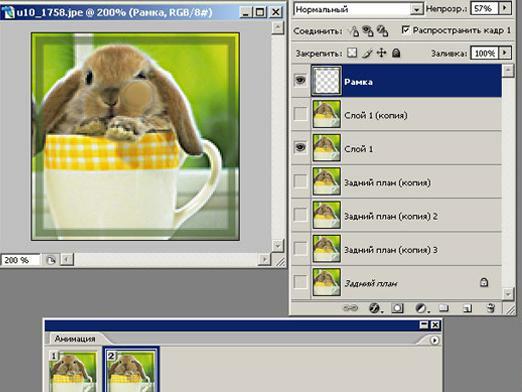 In order not to reveal the secret of the double photo, the user should be removed from the home page, double photo, by pressing the corresponding button. Our edited picture will disappear completely, but will remain in the memory editor. the guests, calling on page, will see the main photo, that the user has downloaded the eve of the manipulation of the double picture. And in comments appear lower part of the editorial photo. That's how easy it is to make a picture to a contact, and amaze your friends.